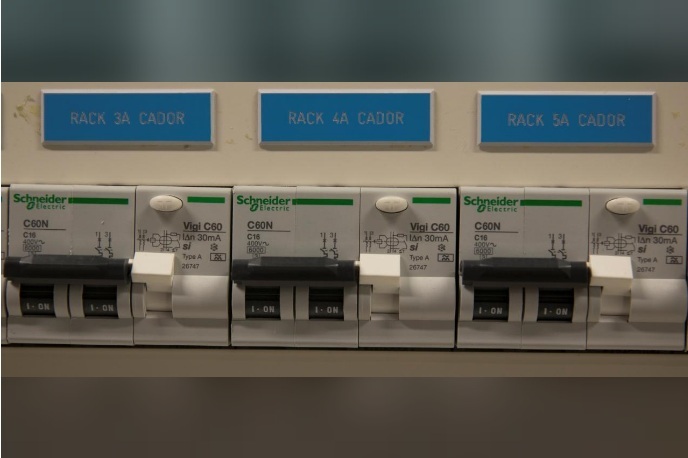 Fuses from French company Schneider Electric are seen in an office in Madrid, Spain, August 9, 2017. LONDON - British engineering software company Aveva Group said on Tuesday it had agreed to combine with Schneider Electric’s software business, creating a London-listed software firm worth more than 3 billion pounds. France’s Schneider will take a 60 percent stake in the enlarged group under the terms of the deal, which is structured as a reverse takeover. Details of the deal - the third attempt by the two companies to combine - were reported late on Monday.